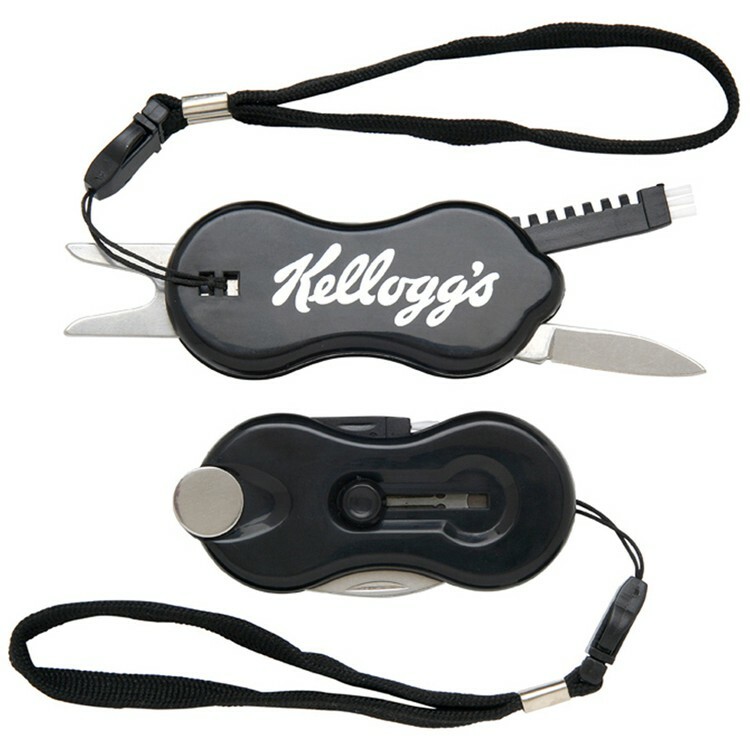 THIS GOLF TOOL FEATURES A RETRACTABLE DIVOT FIXER, KNIFE BLADE, REMOVABLE BALL MARKER, AND A FLIP-OUT NYLON BRUSH AND GROOVE CLEANER TO KEEP YOUR CLUB HEADS CLEAN. STAINLESS STEEL IMPLEMENTS WITH BLACK HARD PLASTIC CASE. 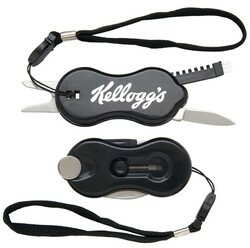 CONVENIENTLY YOU CAN CLIP TO YOUR WAIST, CLIP TO YOUR GOLF BAG, CARRY IN YOUR POCKET OR STORE IN YOUR GOLF BAG.